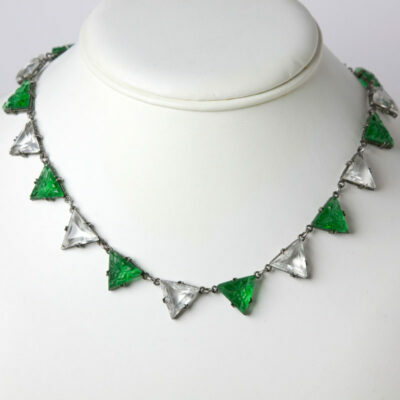 This triangle necklace from the 1920s has molded emerald-glass stones alternating with faceted crystals, all set in white-metal frames. 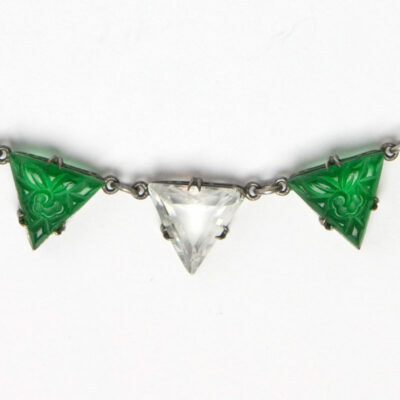 Molded glass from this period was used to simulate the carved gemstones made popular by fine jewelers such as Cartier. 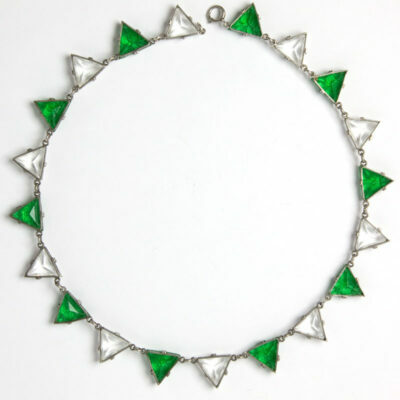 This piece is Art Deco costume jewelry at its best – the use of strong contrasting colors and a geometric shape. 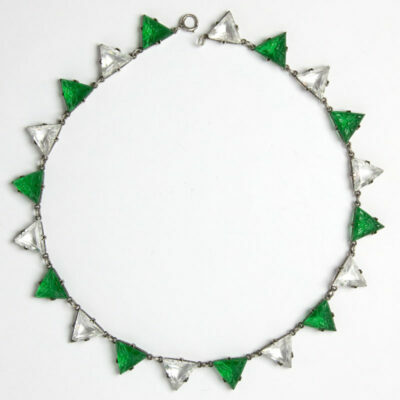 This stunning necklace from my personal collection closes with a spring-ring clasp. 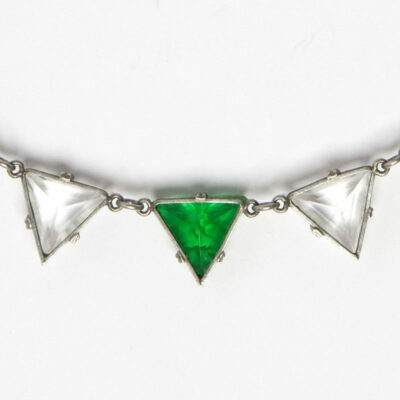 Although a few of the crystal triangles have tiny chips, they aren’t visible when this piece is worn.